Description This Warner Robins, Georgia hotel has free internet access and non-smoking guest rooms. This hotel is also pet friendly. With fully equipped kitchens and free Wi-Fi the Suburban Extended Stay Warner Robins is a comfortable place for our guests. The two-story Suburban Extended Stay Warner Robins offers 82 rooms with kitchenettes equipped with microwaves refrigerators stoves coffeemakers and all the cookware you need to whip up a home-cooked meal. Non-smoking rooms are available. Spread out at the desk and get busy with free Wi-Fi access. Cable TV with movie channels will keep you entertained before you drift off to sleep. There's an exercise room business services a guest laundry and free local calls. Pets are permitted for a fee and parking is free. The Suburban Extended Stay Warner Robins is off Highway 247 within walking distance of a good cup of joe and lots of dining options. Whether you're visiting Macon State College a half-mile away or Houston Medical Center less than two miles away you won't have to drive far. You won't have to go far for a shopping fix either; the Galleria Mall is one mile from the hotel. Middle Georgia Regional Airport is ten miles away. 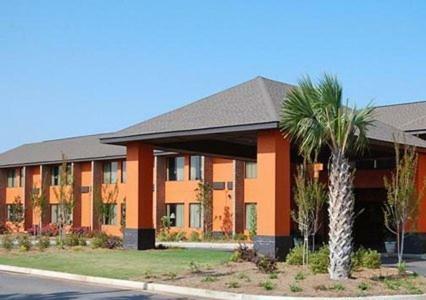 Add Xtended Stay Hotel Warner Robins to your free online travel itinerary.